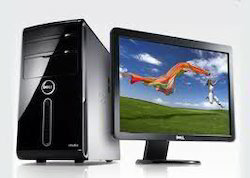 Banking on our vast experience in this domain, we are engaged in trading quality assured Samsung PC. Wild Lifestyle (india) Pvt. Ltd. Led i7 HP Desktop 280 G4, Screen Size: 18.5"
Assembled Brand New I3 Desktop, Screen Size: 15.4"